Find out what has to be on each deed. Each county has specific items that have to be on the deed or it will not record and will be rejected. DeedNetwork’s knowledge base provides you with what you need for each deed before you prepare it. Reduce county rejection of deeds. 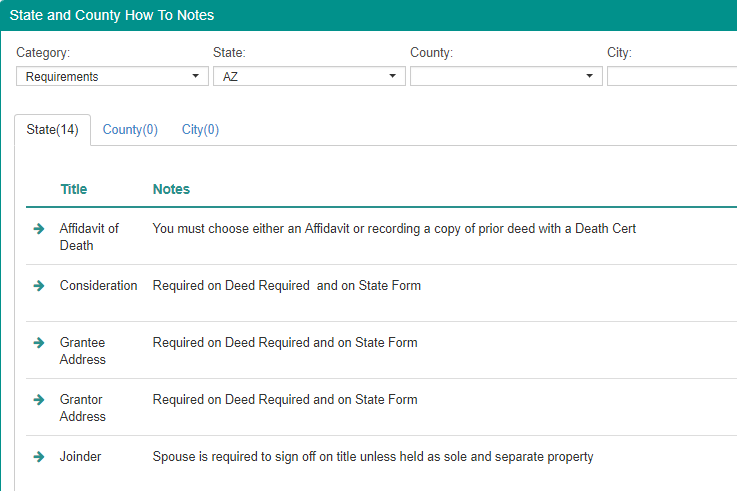 The best way to reduce a county recorder from rejecting your deed is to make sure everything they require is properly displayed on the new deed. We have copious notes for all counties to help reduce the rejection of deed recording. We are the deed experts. DeedNetwork’s team of deed preparation experts can answer most deed related questions. If you get stuck and need help give us a call.